Over the last several years Campus Ink has worked closely with the University of Illinois Panhellenic Council on their recruitment apparel. As one of the largest sorority system in the country, Campus ink plans months advance with their executive council to ensure their attire compliments the amount of work the ladies will do for recruitment on the University of Illinois campus. 19 Formal chapters with close to 3,000 members of the Greek System at Illinois will be recruiting a class of 1,200 new members in the greek system. Each chapter has a unique design and will be required to wear a few different pieces during the recruitment process. 2,600 Shirts you can feel good about. This year, the Illinois Panhellenic Council has taken another step in making a difference by choosing to use a shirt by Allmade Apparel for their recruitment apparel. With several other options available to them, the Panhellenic Council realized that they could make an impact by using an environmentally friendly shirt that supports a better cause on a large scale. Next September, over 2,600 ladies will wear a comfortably soft, ring-spun Allmade Triblend V-Neck Shirt for open house. We’ll be first to admit as printers, the shirts are some of the softest we have ever worked with and get even more and more comfortable wash after wash.
What does this impact truly mean? Here is why Illinois PHC made the decision to #makeitbetter with Allmade. Email us directly, let us know your chapter, group, or council is ready to make it better by choosing Allmade. The shirts are similarly priced to competing brands, so the choice is yours. 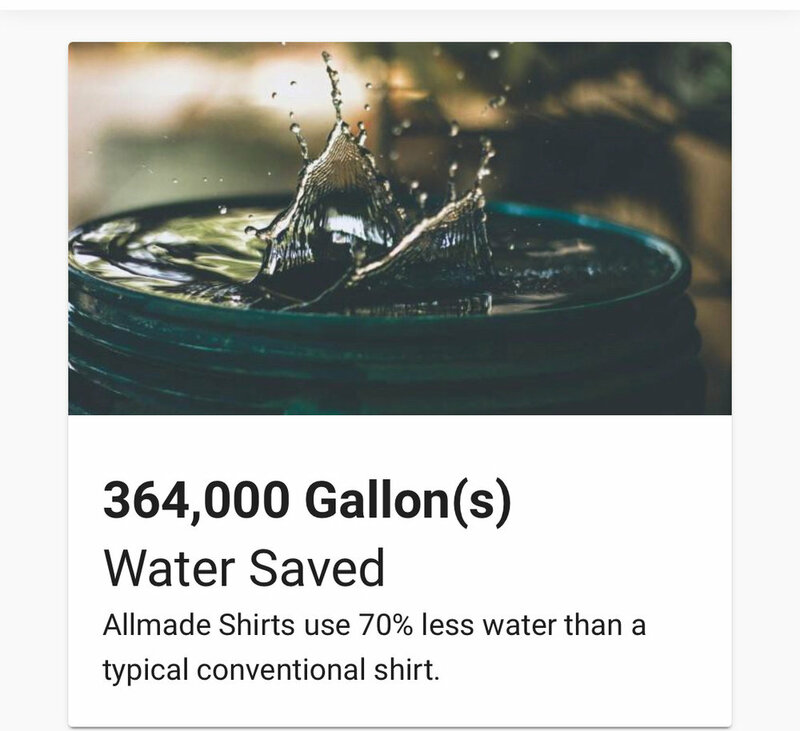 Visit the Allmade Impact Calculator to see for yourself what difference could be made if chapters and councils around the country chose a better shirt. Join the example Illinois Panhellenic has made with their decision. 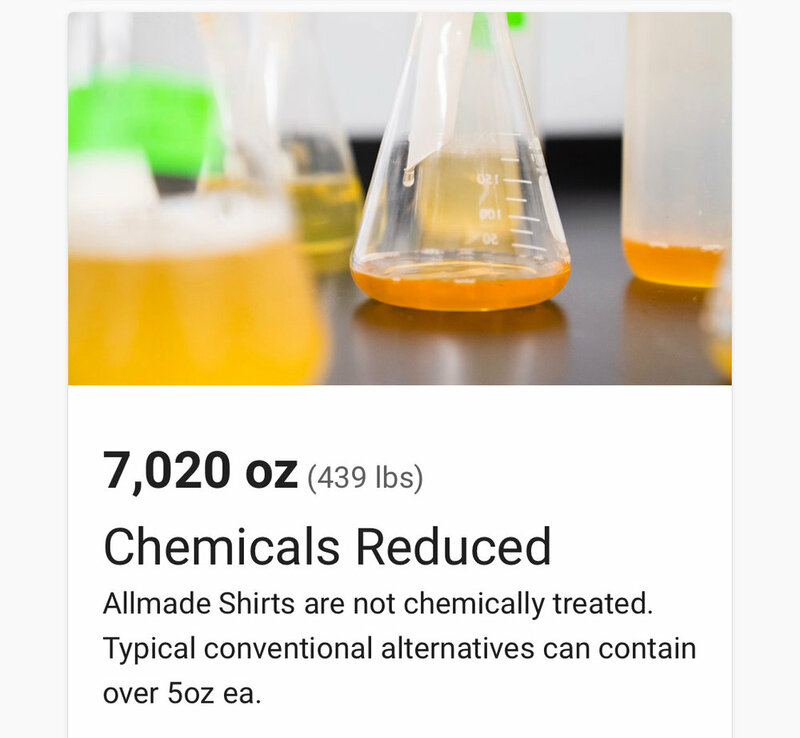 Allmade shirts come in several different colors and styles. Shoot us a message and we’ll send you a sample! To launch this campaign we’re giving away Allmade shirts to an entire chapter. The contest lasts 48 hours and starts now. Get your sisters and chapter’s insta handle to follow @campus.Ink, and re-share our story by tagging @allmade and using the hashtag #makeitbetter. We’ll pick one chapter Tuesday at 3 pm CST.